A transformation into a superhuman by brain’s upgrade to 100%. In accordance with some channelers, by the end of the fifth race, which includes you and me, a human had to use his brain at 50% capacity. However, we developed only between 3% – 10% of it, with a worker on the assembly line using 3% and an academician around 10%. 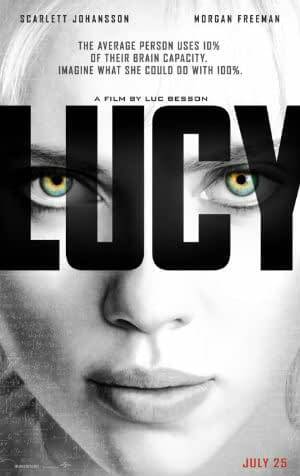 We see this transformation into a superhuman in the feature thriller «Lucy». A woman with average brain ability (below 10%) gets a quick upgrade to 100%. We see a dramatic change in the protagonist from a half-drunk partier without clear goals and direction to a determined, powerful entity with abilities beyond imagination. Channelers claim that the process of thinking is much more complex and that it not only includes our physical brain but also several other invisible structures such as an impulse ring and thin shells, as well as a number of the soul’s matrixes. The brain’s capacity upgrade will not necessarily create a super humanistic person because his goals, motivations and actions will depend on the quality of his soul. This is what we see in the movie. Lucy receives supernatural strength, violently destroying everyone and everything standing in her way. Note*: Excerpts from “Beyond the Unknown”, Seklitova L.A., Strelnikova L.L.